All kinds of whales, truly spectacular and epic landscapes - Norway just wins at being awesome. No matter the season! 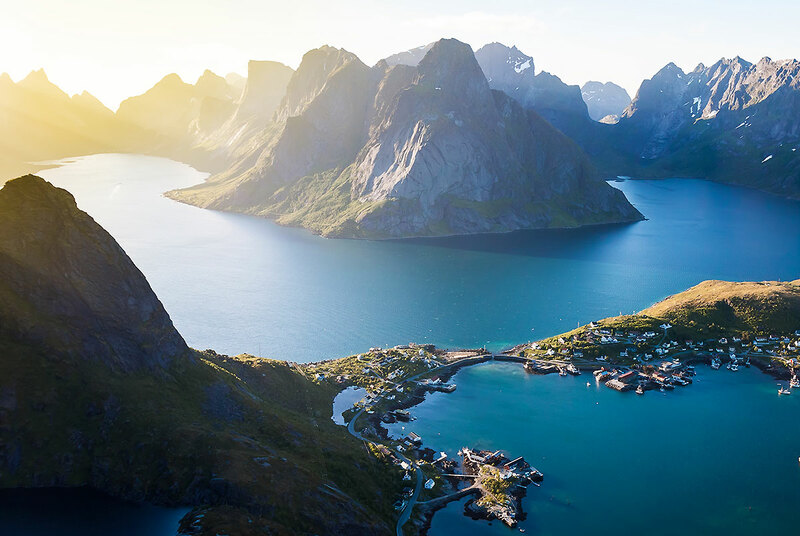 The Lofoten and Vesterålen, far in the north of Norway, are perfect places for whale watching all year long: While you can rely on seeing sperm whales in summer, orcas and humpbacks crowd the fjords full of fish in winter. Whale watching is mostly done in the north of Norway: The Lofoten and the Vesterålen 300km north of the polar circle are two chains of islands with stunning landscapes, overlapping each other. It never gets dark during summer and northern lights illuminate the sky in winter – both being perfect conditions for a whale watching trip. 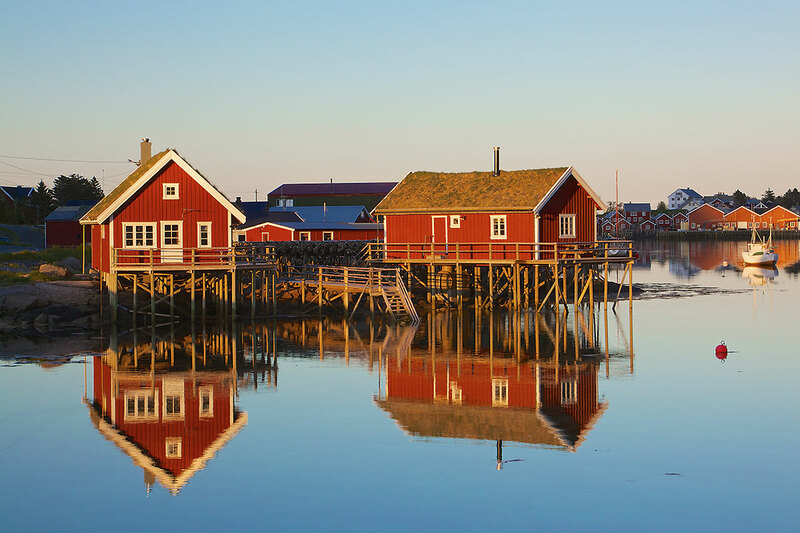 During summer, the most important place is the little harbor town of Andenes in the north of the Vesterålen. Only 3.000 people live here, however, there are over 15.000 tourists in the city every year to watch the sperm whales, which are full-time residents to the waters off Andøya, so encounters are very likely. About 50% of all Norwegian summer whale watching tours start from Andenes and its little neighboring town of Stø. In Andenes you can also find a very good and informative whale centre with life size models. 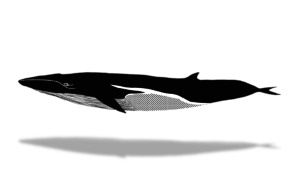 Sperm whales are best spotted between June and August, occasionally also pilot whales, minke whales and various dolphins show up. 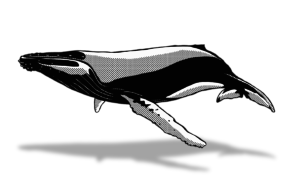 The herring is constantly moving further north during winter - and the whales always follow the herring. The other half of whale tours from Norway are offered in winter in the fjords of the Lofoten and Vesterålen. There’s a good chance of seeing lots of orcas and humpbacks there, maybe even the occasional finback. 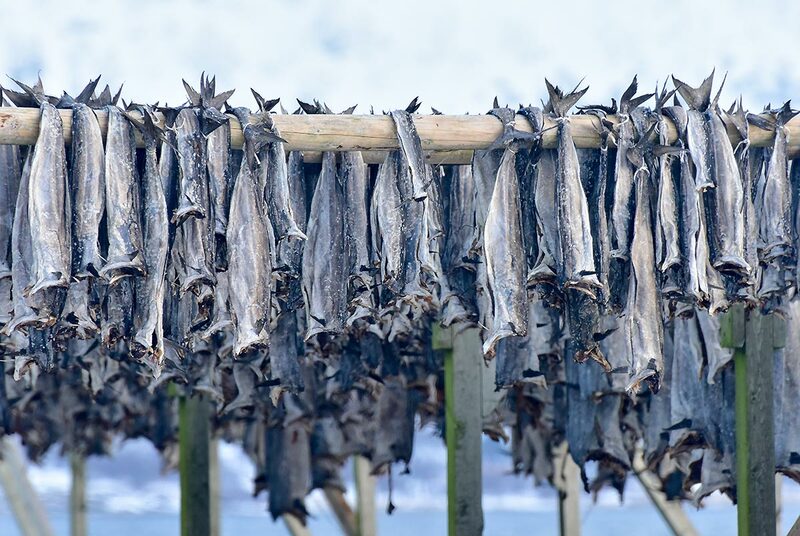 They all follow the herrings, which populate the fjords in millions during wintertime. During the last years, the herring seems to keep moving further and further up north and the whales with them. While Tysfjord near Narvik was the main destination for wintertime whale watchers, it then has become the fjords of Senja and Tromsø for some time – while the whales started to move even further north in winter 2017 / 2018, when they appeared in the fjords off Skjervøy. 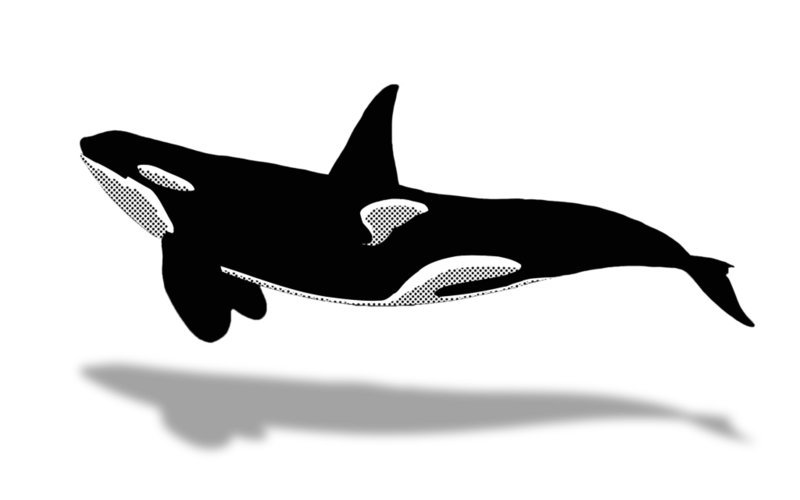 Orcas are top predators of the oceans. Very reliable places to meet them are Canada and Norway. 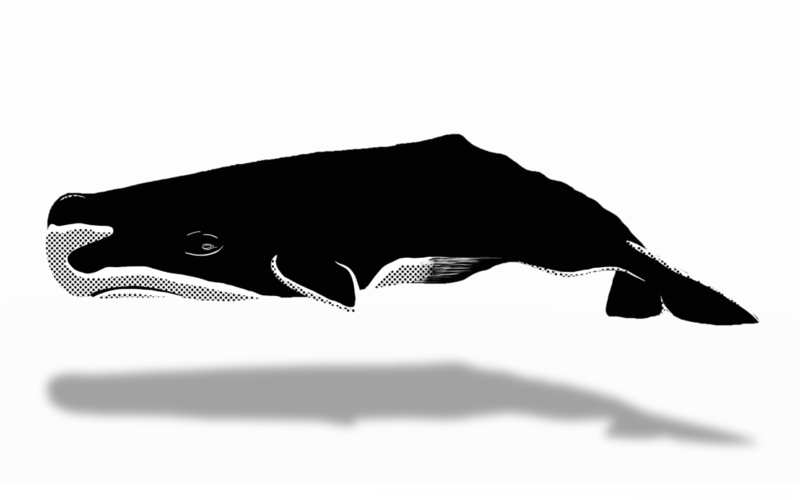 Sperm whales dive deeper than any submarine. 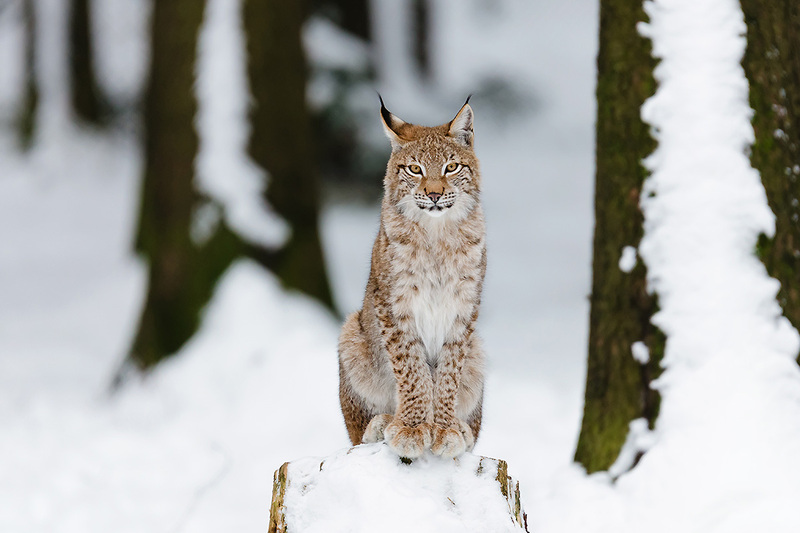 They can be spotted close to the coast in Norway, New Zealand and on the Azores. 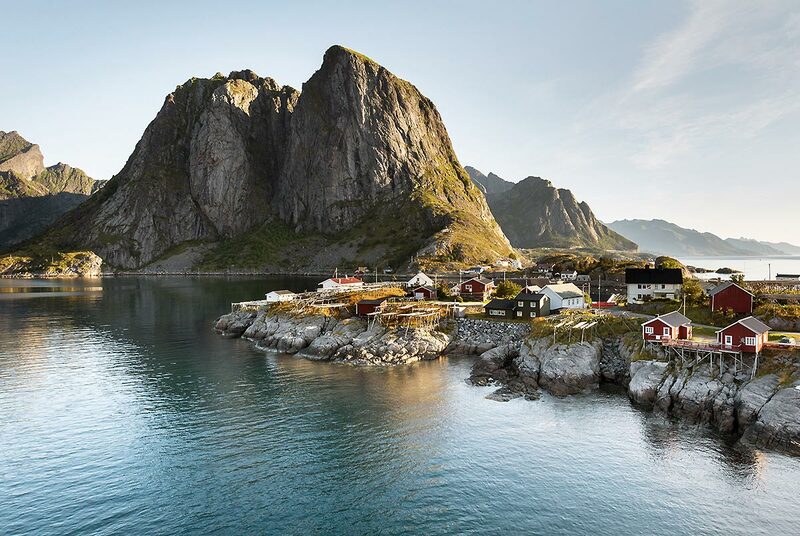 With their dramatic cliffs and Caribbean beaches, the Lofoten and Vesterålen high up in the north of Norway, are some of the most spectacular islands in the world. 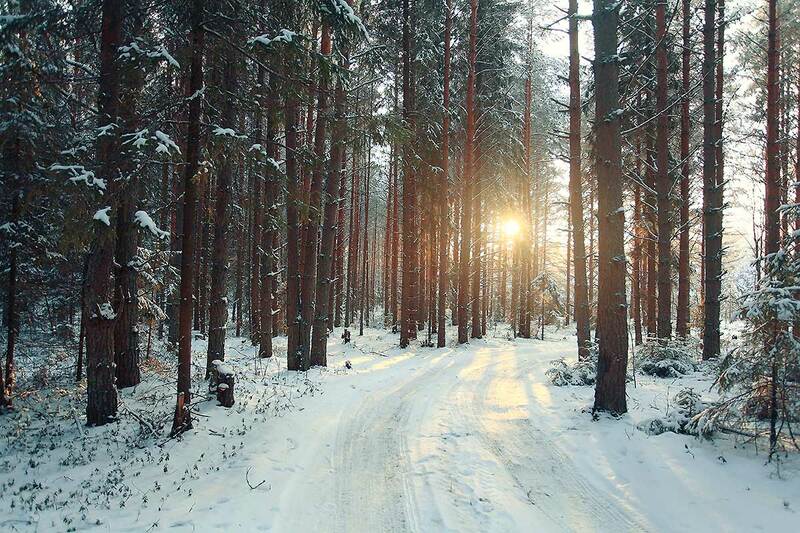 During summer they are excellent places for hiking, in winter polar lights dance across the sky. The Lofoten and the Vesterålen are world famous for their steep cliffs, seemingly Caribbean beaches and picturesque fishermen’s towns. The further south you travel, the more dramatic the mountains get – the difficulty of the hiking trails also increasing. 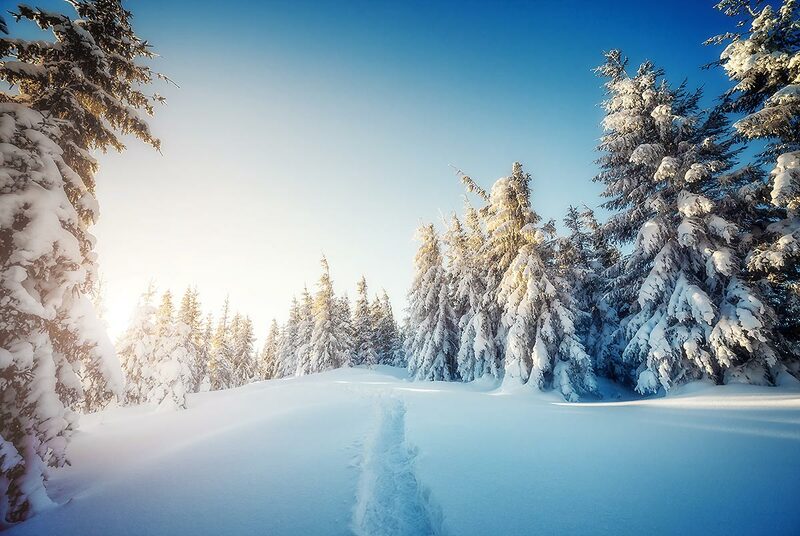 Due to the Gulf Stream, the climate is moderate despite the high latitudes: Temperatures reach up to 20°C in summer and rarely drop below -15°C in winter. While being one of the most spectacular regions for hiking in summer, winters are great for rides on dog sleds. The most beautiful towns and cities are Hamnøy, Reine, Nusfjord, Svolvaer and Henningsvaer in the south and Andenes and Bleik all the way up north. 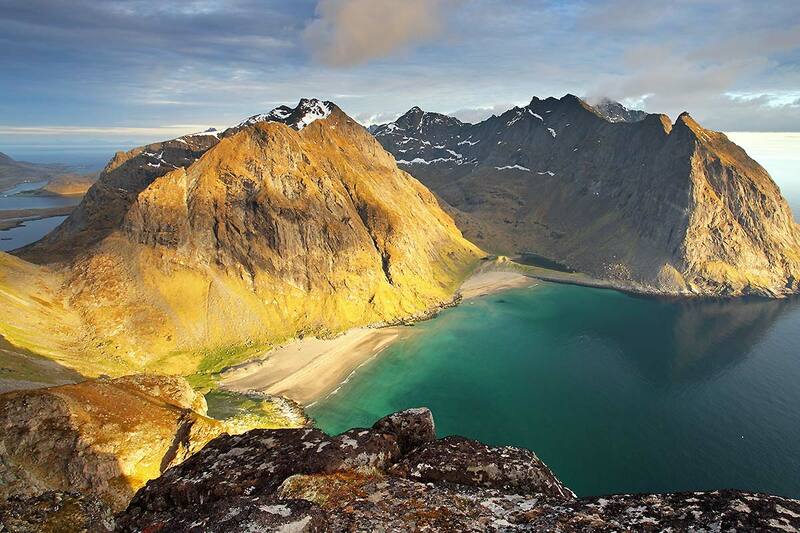 The most spectacular view is from Reinebringen, the signature mountain of the Lofoten. The island group is located above the arctic circle, so the sun doesn’t set in summer nor rise in winter. From the middle of May to the middle of June it is light 24 hours a day in the area around Tromsø, from the end of November to the middle of January there is only a bit of dawn between 10am to 3pm. The further north you get, the more intense midnight sun and polar night get. 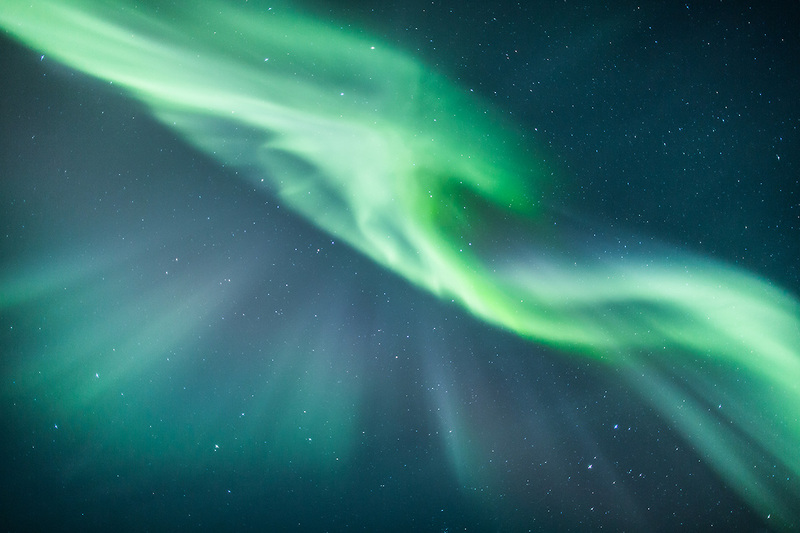 During winter, chances are excellent to see northern lights in the whole region. All you need are clear nights and enough solar activities. At Svolvaer you can set up camp in a Northern Lights Center for a couple of days to learn everything about the aurora borealis. The old post ship line Hurtigruten has been connecting the south of Norway with the rather remote north for centuries. The twelve day trip along the Norwegian coast is known as one of the most beautiful sea travels of the world. 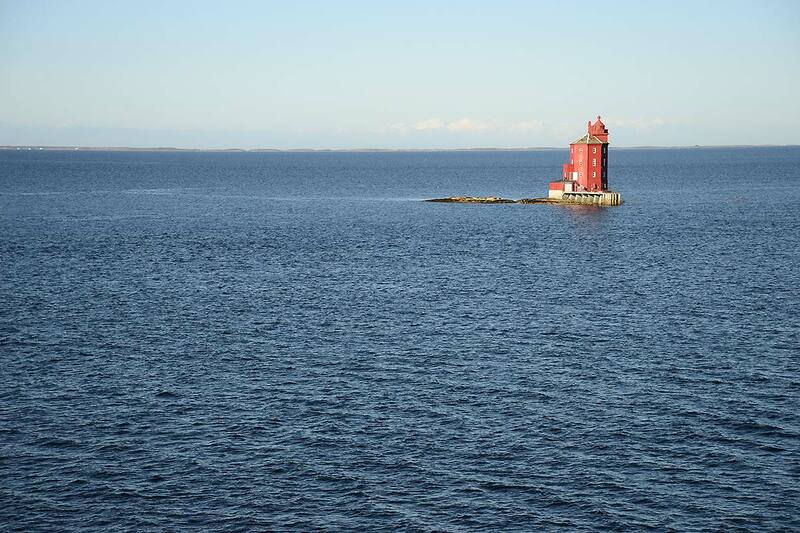 The ships go up to the North Cape and back, stopping at every major harbor along the way (e.g. Ålesund, Trondheim, Tromsø) and also entering deep into the Geiranger- and Trollfjord. Many excursions are offered during the trip and you can also book only parts of the journey, even without a cabin for short stretches. The oldest and most nostalgic ship is the MS Lofoten, launched at Oslo in 1964. 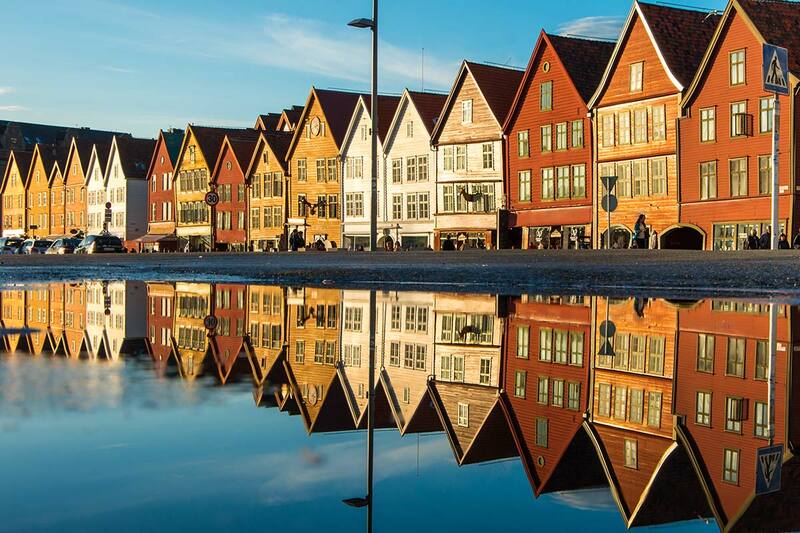 The starting point is Bergen, which is maybe the most beautiful city of Norway with its colorful houses, its narrow crooked alleys, the old Bryggen trading post and the hiking trails in the surrounding mountains. Norway is mainly the land of moose and reindeer. 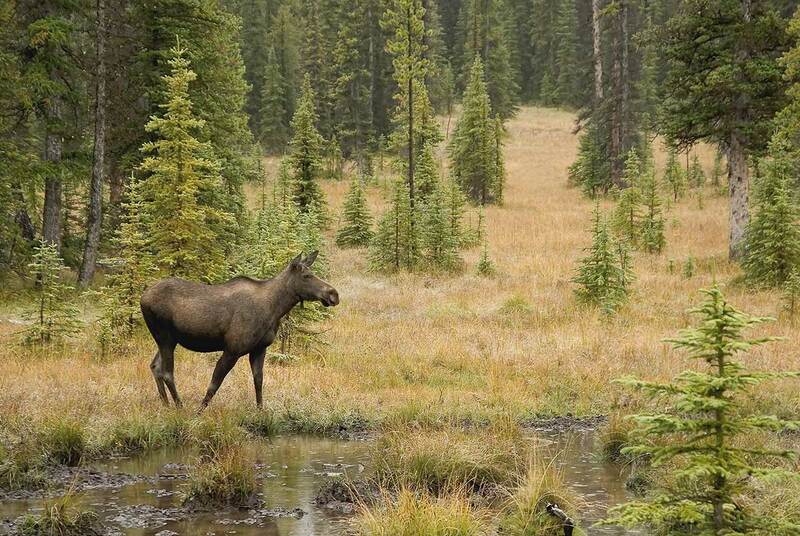 The shy moose can best be seen in the early dawn or at dusk. You can meet them on the mainland and the Vesterålen but not on the Lofoten. 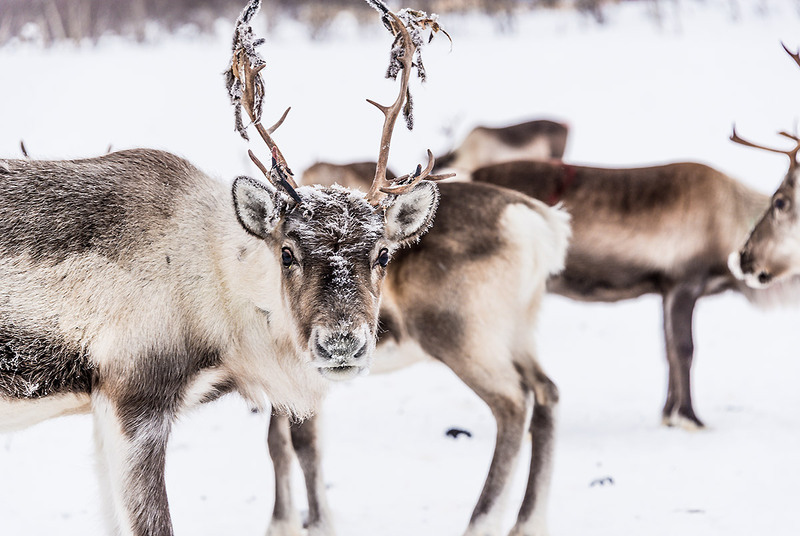 Reindeer can be found in the tundra-like regions far up north and on Spitsbergen. 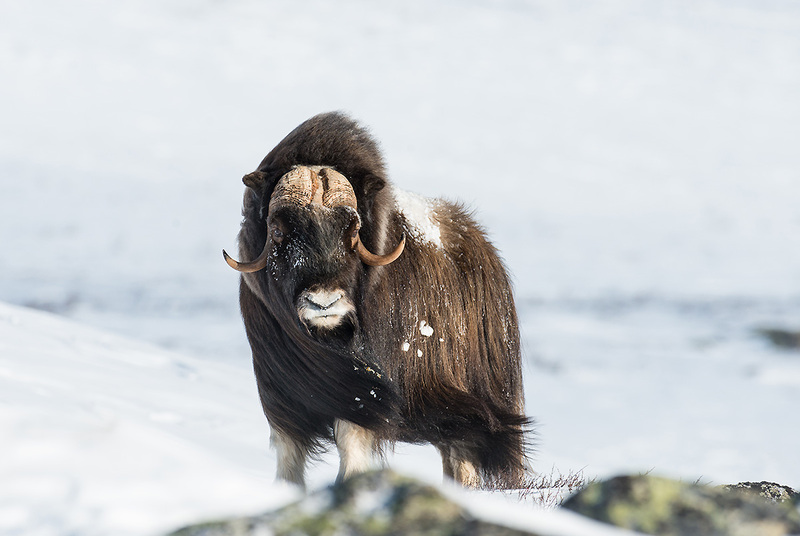 The Dovrefjell National Park is also one of the few places in the world, where the seemingly primeval musk oxen can be seen. (Preferably on a guided tour from June to September.) From the tip of the Vesterålen, Bleik and Andenes you can also watch puffins, which are very popular due their constant hectic and clumsy behavior. 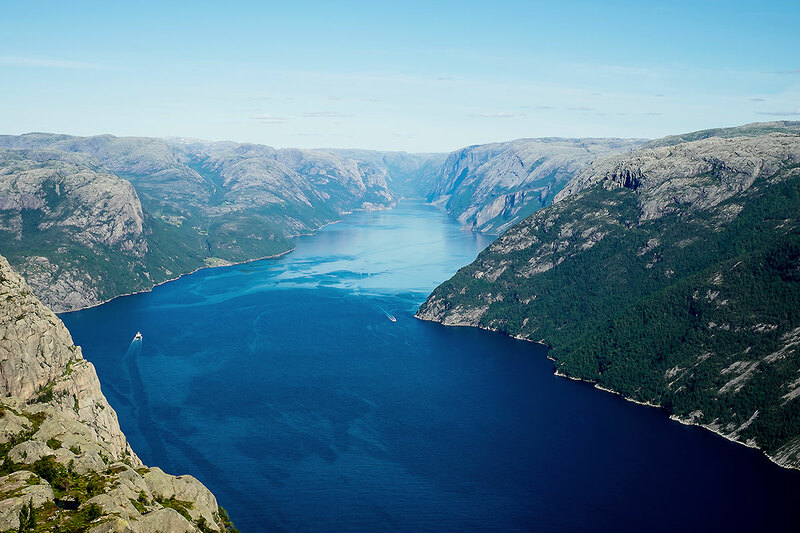 Further south you can find the three most popular icons of Norway: Geirangerfjord, Preikestolen und Kjeragbolten. Geiranger is a fjord surrounded by cliffs. 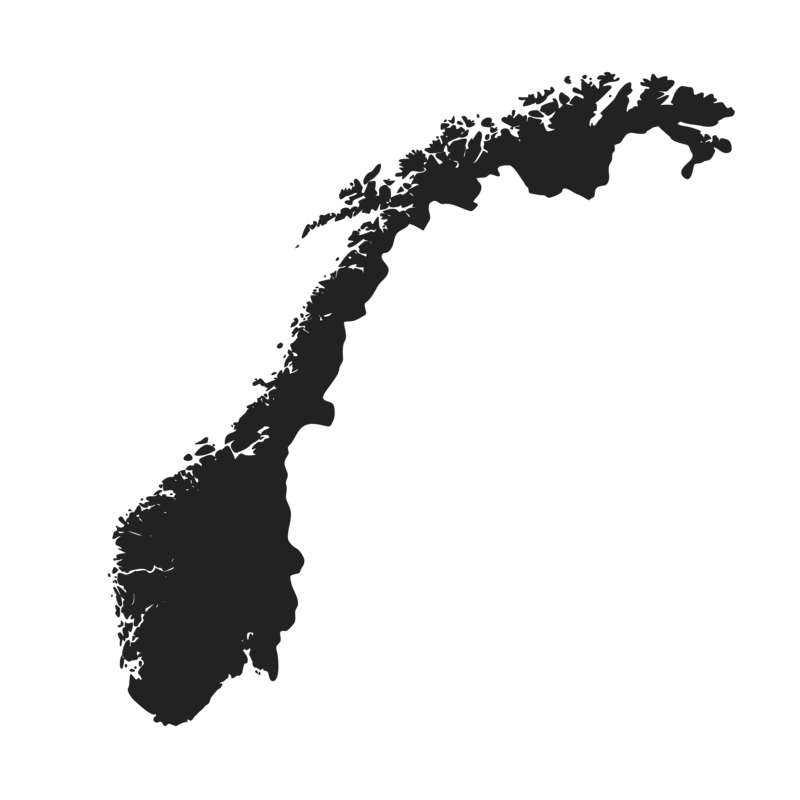 About 200 kilometers northeast of Bergen, it reaches into the mainland for over 15 kilometers. Passengers of the Hurtigruten often get off board here and drive to the next harbor to enjoy the fantastic view over the fjord from above. Preikestolen is a gigantic rock beam close to Stavanger. 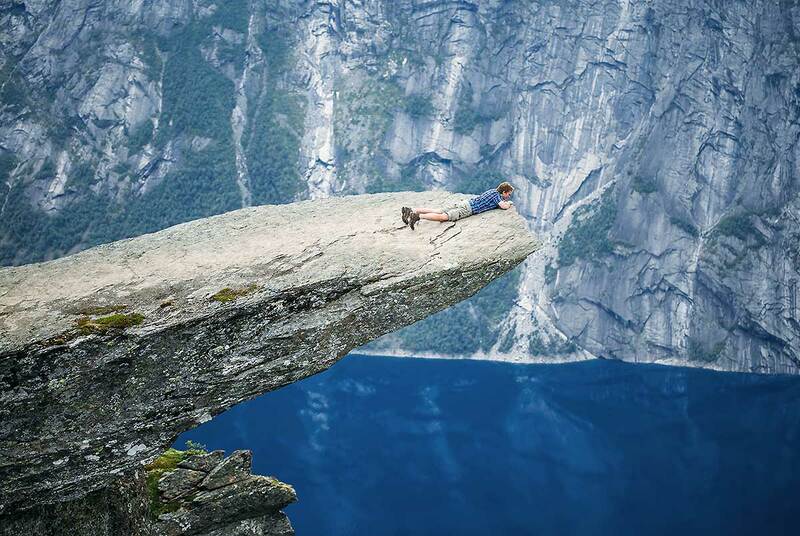 It drops down steep for about 600 meters and offers a great view over the Lysefjord. 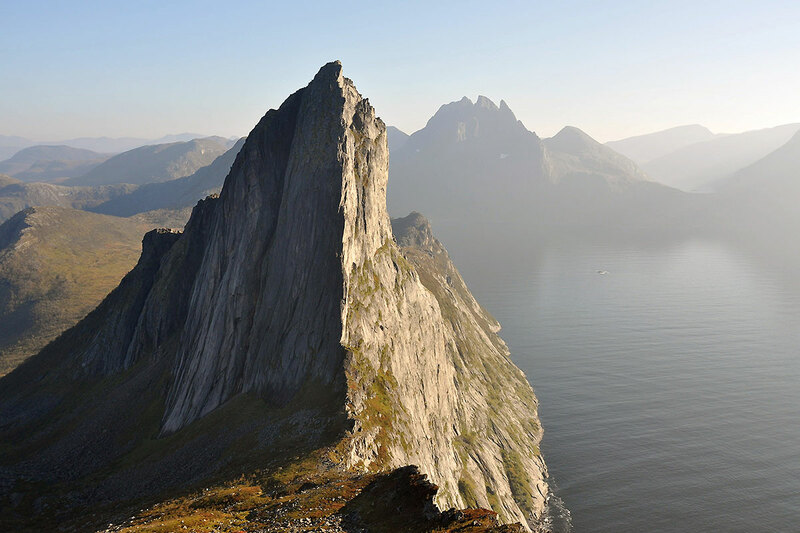 Almost straight across is Kjeragbolten, an egg-shaped monolith, stuck between two rock faces at about 1.000 meters above the Lysefjord. Also great: A ride on the Bergenbahn between Oslo and Bergen, deemed one of the most beautiful train routes worldwide. Almost a thousand kilometers north of the Norwegian mainland, the arctic island group of Spitsbergen (“Svalbard”, meaning “cold coast” in Norwegian) can be found. From here it’s just another 500 miles to the North Pole. (By icebreaker, though.) The island is inhabited by ca. 2.500 people and 3.500 polar bears and everything is about them. The polar bears, of course, not the people. Spitsbergen is one of the best places to watch polar bears and walruses. Apart from Longyearbyen, the biggest settlement, there are also two Russian settlements, Barentsburg and Pyramiden, which have both completely dropped out of the course of time. Other than that, there are only mountains, glaciers and ice on Spitsbergen. 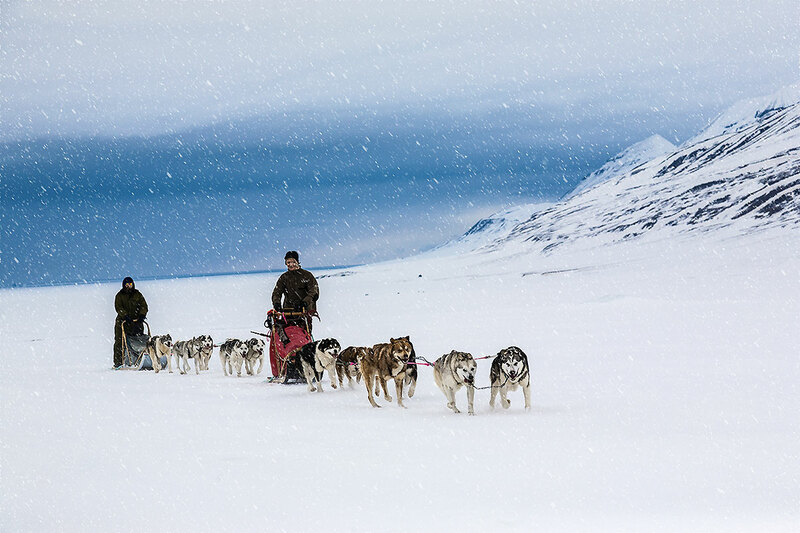 You mostly move through the interior of the island on snowmobiles, as there are no roads outside of Longyearbyen. Tourists tend to go around the island by boat. In the north of the island you can cross the 80th parallel, if the ice allows it. That’s possible only at very few places in the world. Preikestolen and Geiranger in the south, Lofoten and Vesterålen in the north, Dovrefjell in the interior, the gate to the arctic up north: Every part of Norway is spectacular. A winter trip to the fjords of Andenes, Senja and Skjervøy. 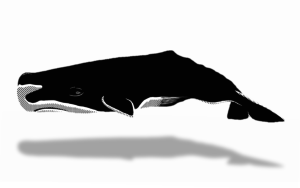 A summer whale trip from southern Norway almost to the North Pole. How to make the most out of your whale watching trip.